Recently, Udwadia (Proc. R. Soc. Lond. A 2003:1783–1800, 2003) suggested to derive tracking controllers for mechanical systems with redundant degrees-of-freedom (DOFs) using a generalization of Gauss’ principle of least constraint. This method allows reformulating control problems as a special class of optimal controllers. In this paper, we take this line of reasoning one step further and demonstrate that several well-known and also novel nonlinear robot control laws can be derived from this generic methodology. We show experimental verifications on a Sarcos Master Arm robot for some of the derived controllers. 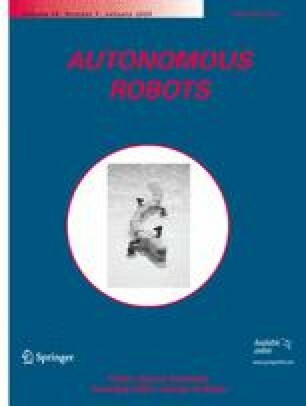 The suggested approach offers a promising unification and simplification of nonlinear control law design for robots obeying rigid body dynamics equations, both with or without external constraints, with over-actuation or underactuation, as well as open-chain and closed-chain kinematics.